Join us in our 5000 sf outdoor Lager Garden for bites, house brews, wine, yard games, and bocce. 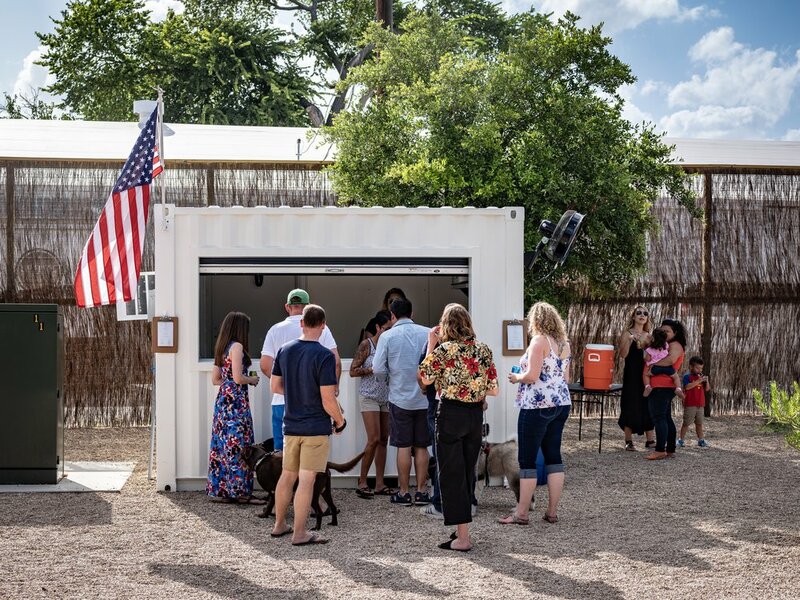 Enjoy permanent happy hour pricing on our food menu when ordered from our outdoor container bar. Misters, fans, shades, heaters and water stations provided for your comfort; always kid and pet friendly.